I’ve noticed in the past year that a lot of my favourite ties are from Shibumi. They’re always on the end of the rail; they always get picked up first. Yet I haven’t written about them for quite a while. Having Benedikt (below) in the shop over the next three days is a nice opportunity to correct that. 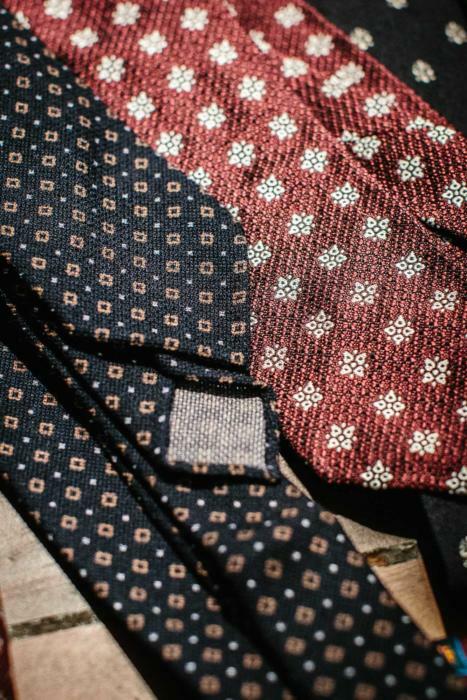 Although Shibumi offers a range of ties, a large proportion are made in a crisp printed silk that I find knot particularly nicely. The knot sits well and stays in place. The dimples come easily. The blades hang rather than flop. For those that like hand-worked details, the blades are all untipped and the edges rolled neatly by hand. While it is these printed silks I’d recommend the most, there are also some unusual (but subtle) textured silks on display. They’re both shown above. The left-hand one is similar to a grenadine, woven in Italy, but with a little less texture and made in a silk/wool/cashmere mix that gives it a matte finish. The right-hand one is what Benedikt calls an English grenadine: woven in England, it has similar texture to a grenadine but with a little more body and is a little denser. The former is the kind of tie I would wear in day in, day out: dark enough to go with almost anything, a subtle pattern that will rarely clash with jacket or shirt, and with brown in the mix to pick up brown shoes. Benedikt also has some wool and wool/silk scarves (above), a big range of handkerchiefs, and some examples of his tailoring (below). The last brand to feature on this - the last weekend of the pop-up! - is Carmen from Camiseria Burgos. Carmen (below) was a last-minute addition, but it’s lovely to have someone else coming in from abroad. 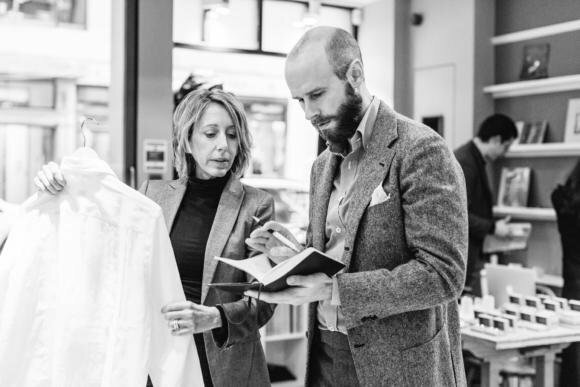 The pop-up doesn’t quite have the atmosphere of her storied shop in Spain, but her shirts and Teba jackets add a little old-fashioned craft to the place. The pyjamas for example (shown below) have delicate hand-sewn buttonholes, instantly elevating them above most else in London. The rest is machine made, but they’re decent value at €284, and there are four sizes across a few blues and blue stripes. 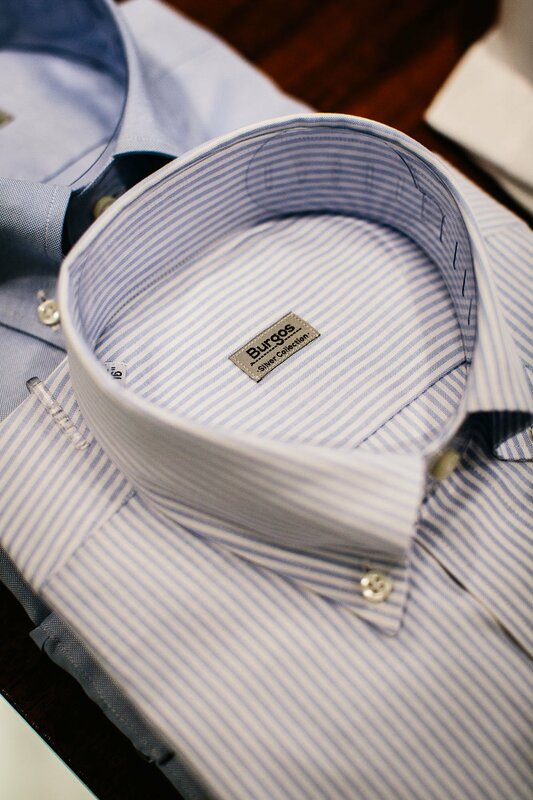 Burgos is perhaps most famous for the Teba - an entirely unstructured shirt-jacket with a square shape and distinctive lack of gorge between the collar and lapel. They’re ubiquitous in Spain, worn over a shirt in the office in place of a jacket, and if you like the style, practical for anyone in a modern office. Carmen has several colours, including navy wool with gold blazer buttons and cashmere jersey (€580). 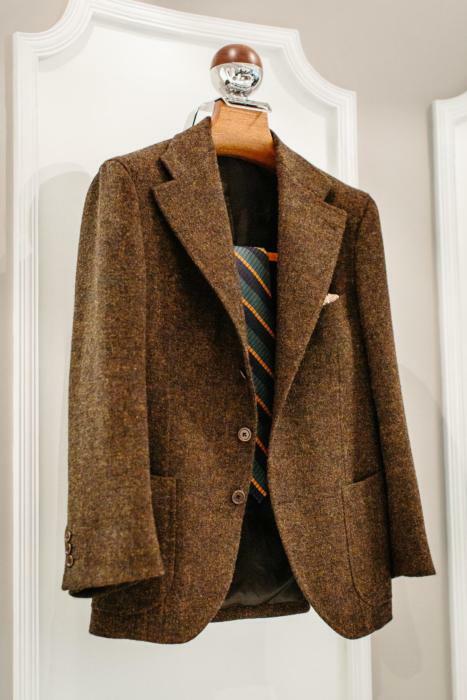 There is also a new style of Teba, called the Domeck, which is a little more like a jacket - still no structure, but darts in the waist to give it a little more shape, two vents, and curved fronts rather than the shirt-like square cut. It’s a little more expensive, at €580 for wool. Carmen has brought over a range of reversible coats (wool to microfibre, €650) of which the Black-Watch tartan version is shown above. 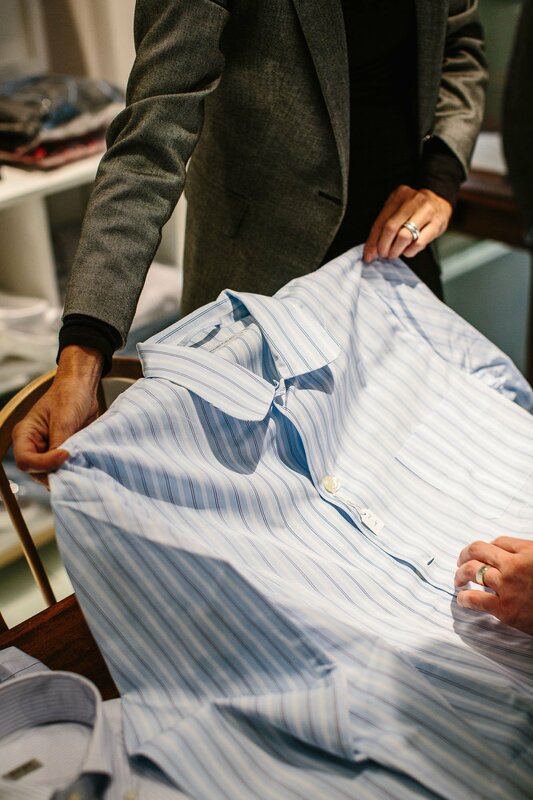 On the shirt front, there are ready-made machine-made styles from €120, and both Guayabera and pop-overs. Plus boxers and safari jackets. 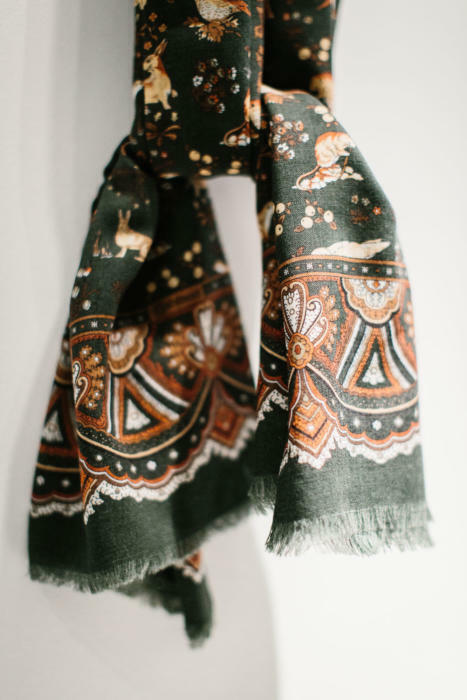 Together with Shibumi’s accessories, Codis Maya’s jewellery, and casual wear from The Workers Club, there’s pretty much everything covered in the pop-up this weekend. Remember, these brands are only here until Sunday, and then the shop itself closes. I’ll be in all day on Sunday (opening times 11am-5pm). You can follow the discussion on Shibumi ties, Burgos shirts and tebas – in the pop-up by entering your email address in the box below. You will then receive an email every time a new comment is added. These will also contain a link to a page where you can stop the alerts, and remove all of your related data from the site. 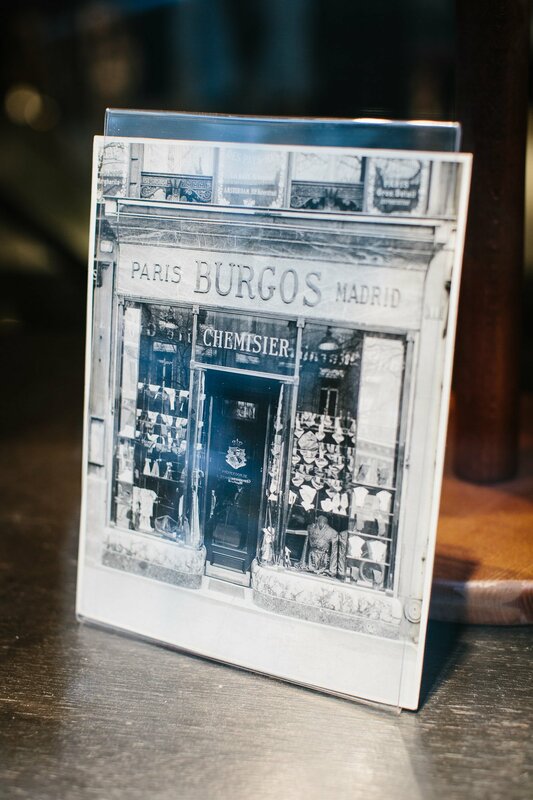 How much are the Burgos OCBDs illustrated above and is there an option for UK-based customers to purchase online / over the phone? Would be interesting to know which of the crisp printed silks is/are your favourite(s). So sad to see the pop-up coming to an end by the way, but I’m sure it’ll return in the future. Congratulations on curating such a wonderful store! Simon did you make a mistake on prices? You said Teba was 580 then late said domeck was more at 580? Simon this might be a stupid question but are these Tebas totally unstructured ie they have no canvassing? Yes exactly, no canvas at all. The first price is a normal Teba, but cashmere so more expensive than wool. I was wondering your view on undyed/one sided printing? As in the 3rd picture with the reverse of the tie tip or worse still on some pocket squares. Whilst I understand why on a tie you wouldnt want to screenprint the full patern on the reverse side it always makes the item look unfinished to me and with pocket squares, limits their use. Yes I can see that with pocket squares, less so with ties. Personally I don’t mind it on ties at all. Prefer it to tipping. Simon that brown jacket looks really good Neapolitan style. I thought Shibumi only made ties and accessories, their website makes no reference to any tailoring though? That brown jacket really does look amazing. Is it the same mottled tweed as your brown tweed Simon? Agreed – it seems like a slice of vibrant russet bogland (in a great way). And that green / yellow / black Rep tie is exquisite. Simon, do you remember if that tie is Shibumi? Have you done a piece yet on ties where you compare and contrast them with Drakes? That would be interesting. Hi Simon, there is a picture of you with Burgos on instagram, could you give us the details on the beige trousers you’re wearing ? What is your opinion on Stefano Ricci ties? Unable to come to the pop up this time and meet you again, due to work commitments. Stefano Ricci ties are well made, but tend to be a little showy for me (as most of what they do is). From what I recall they are often very shiny silks and put things like precious stones in the blades. Any chance on getting the details on the cav twill used for the drakes trousers? Thanks for featuring Shibumi – one of my favourites is your orange Shibumi. In an interview Cary Grant once stated that ties with strong colour and small patterns were his favourites as they went with everything – Shibumi reflect this. 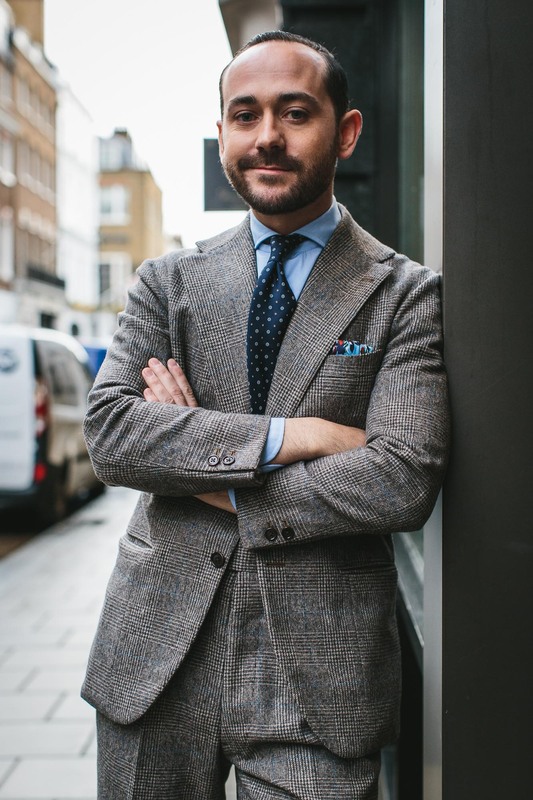 Kudos to Benedikt – his suit is extremely stylish – any word on maker and cloth? Also I’ve been a fan of Tebas for a while but am intrigued by the Domeck – any chances of an image? Lastly the pop up seems to be featuring a great range and drawing strong interest could you do a concluding article of highlights. Thank you. Hey Simon does Burgos actually make its own tebas and overcoats which were in the pop up? I know their shirts are tailored by seamstresses in their own homes but wondered about the other stuff. If not, is it hand made or produced in a factory somewhere? It looks like Florentine style, but made in Naples? Thats quite funny. Hmm, personally I like the bottom half of Florentine (ie the open curved open quarters) but like the top half of Naples (I hate the rounded off big shoulders which to me look top heavy in Florentine). Where do I go for that mix? I’m looking for a grenadine in olive green. Does Shibumi have one? Have you looked on the site? Simon, first of all thanks for pointing out yet another great brand. 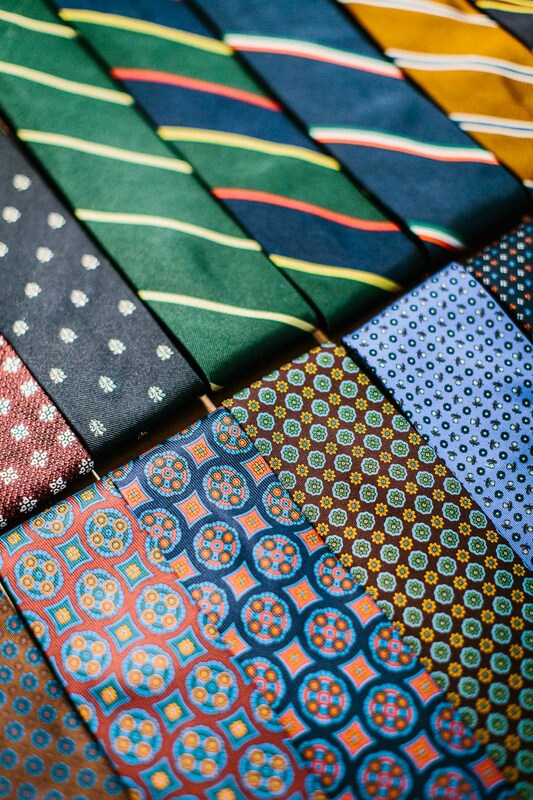 One never has enough nice ties, and those two I ordered based on your praise are indeed exceptional. One thing I am wondering about though: Is there any specific virtue of an untipped tie? Or is it just a personal preference thing? They are a bit lighter I reckon, but then this also makes them feel a tad less substantial. And anyway I am just wondering. 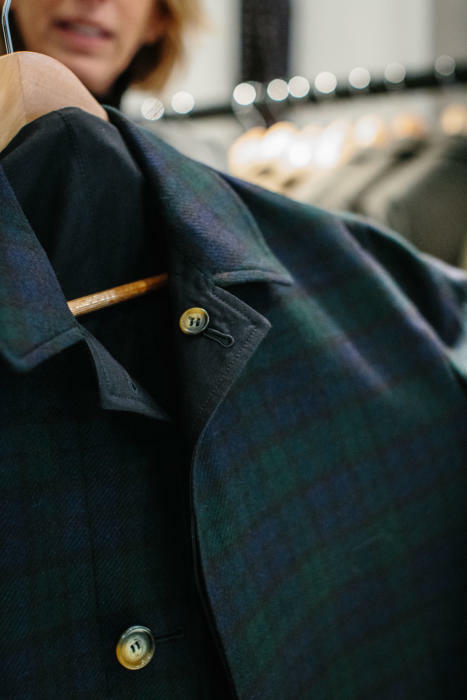 Simon, having seen the blackwatch tartan that Burgos have above – how do you think it would make up as a soft-shouldered 3r2 & patch pocket jacket? Bit too loud perhaps? Hi Simon, after some research 🙂 I bought a Justo Gimeno Teba, a green and chalk plaid / check. The 60% wool / 40% linen mix looks like it will work well for summer. My question is – the sleeves are a tad long, probably an inch or so. Would you treat it as with a sport jacket / blazer and shorten so as to have a smidge of shirt cuff visible? Or would you treat it as an over-shirt or jacket, and have the sleeves the same length as the shirt? I’m tending towards the former. Much appreciated, David. The former, personally, but it is a subjective thing. Simon, will you ever do a post/provide more info about Shibumi’s bespoke offerings?